Highly suitable for segregated waste processing MARPOL 73/78 Annex V.
The reuse of valuable materials from waste streams is important for our environment. Reuse is stimulated by segregating garbage at the source. Ship’s generated garbage typically varies over crew-size, voyage pattern and type of ship. As space is at a premium the volume of the waste is reduced. Ship’s use fit-for-purpose compactors, balers and shredders to process wastes such as: cardboard and paper, plastics, glass, metals and dunnage. 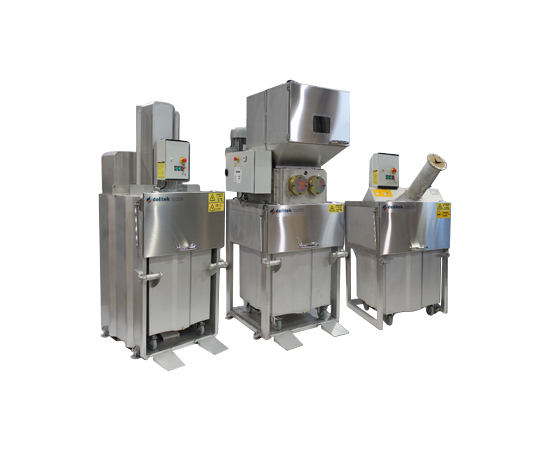 Segregated processing can be facilitated via a system of wheeled interchangeable containers for convenient handling, lifting and transport on the ship.